Who here hasn't fantasised about meeting someone super famous in a bar/club/supermarket and having them fall madly in love with you and whisk you away in their limo/helicopter/private jet to live the life of Riley? You over there? Never? Really? A Star is Born – be it this version, Judy Garland's version, Barbara Streisand's version and presumably also the 1930s version (which I haven't actually seen) – is basically a big ol' wish fulfilment fantasy gone tragically wrong. 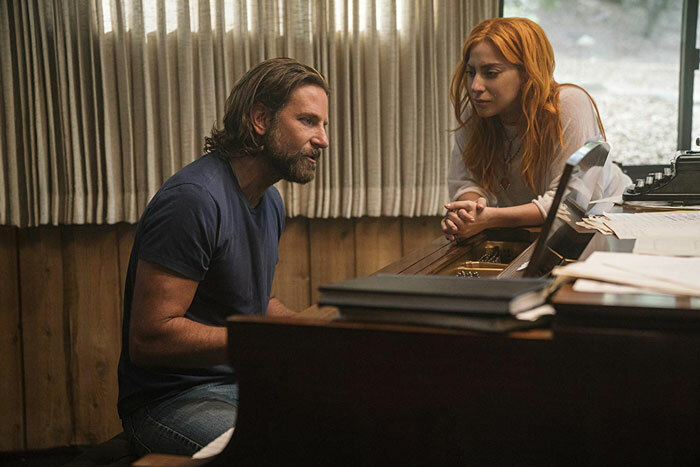 Lady Gaga (and yes, she is amazing, both at being a superstar – not a great stretch there – but also at being kinda normal) plays Ally, a waitress/singer-songwriter who's whisked away from the drag bar where she performs (really) by mahoosively famous country rock star Jackson Maine (Bradley Cooper). Yup, he really does swoop her away on a private jet and dragging her on stage with him before an ecstatic stadium audience to sing a song they've never even practised. Except of course he's a diehard alcoholic and drug addict hellbent on self-destruction, and Ally is merely a happy blip in his vicious, relentless descent into oblivion, both career-wise and psychologically. So while Ally's star shines ever more stratospherically bright (even if she does have to totally sell out to The Man, obvs) his flickers and coughs towards extinction. Cue one of the most excrutiatingly embarrassing scenes ever to be caught on camers and the well-worn Tinsel Town tale reaches its sad conclusion once again. The ending to me felt both gut-wrenchingly inevitable yet also a bit rushed, Ally's ascent and Jack's decline just a little too speedy – but then who wants the unbearably drawn-out suffering of Leaving Las Vegas with pop songs? Nope, not me. Reworking a movie that's already seen one classic reimagining was never going to be easy. But bravura and deeply heartfelt performances from the two leads and some hair-on-the-back-of-the-neck-raising music numbers make what could have been just another remake but with mobile phones into something pretty special. And to his credit, Cooper (who directs as well as stars and sings – blimey!) keeps the screenplay and action fairly timeless and old fashioned, refusing to bury the age-old tale of lovers whose stars cross in a slew of jump cuts and cheesy social media references. For what the film really highlights is not so much how showbiz has changed over the last eighty years, but how depressingly it's stayed the same: the pressure to conform to expectations, the hectic schedules, the desperate hedonism, the vital importance of sheer dumb luck and the fact that a roomful of men will judge a woman not on her talent but in the size of her nose. 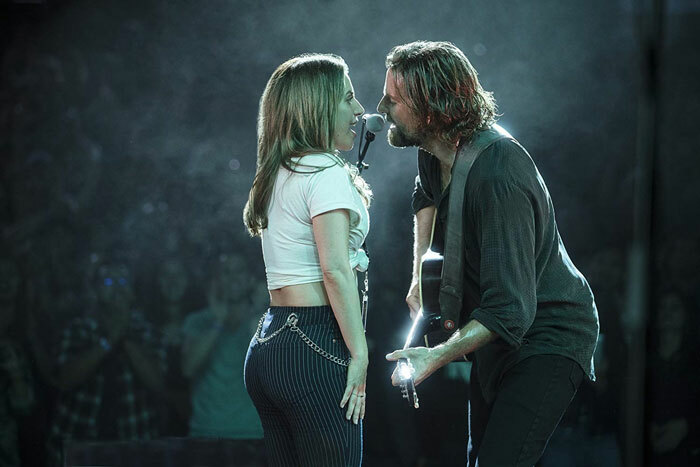 Romantic, uplifting, emotionally charged and ultimately tear-jerking, A Star Is Born is quite a tour de force, and a revelation of its stars' talents, yet at the same time deeply familiar. The stage may have changed but the song remains the same. So raise your lighters and sing along.